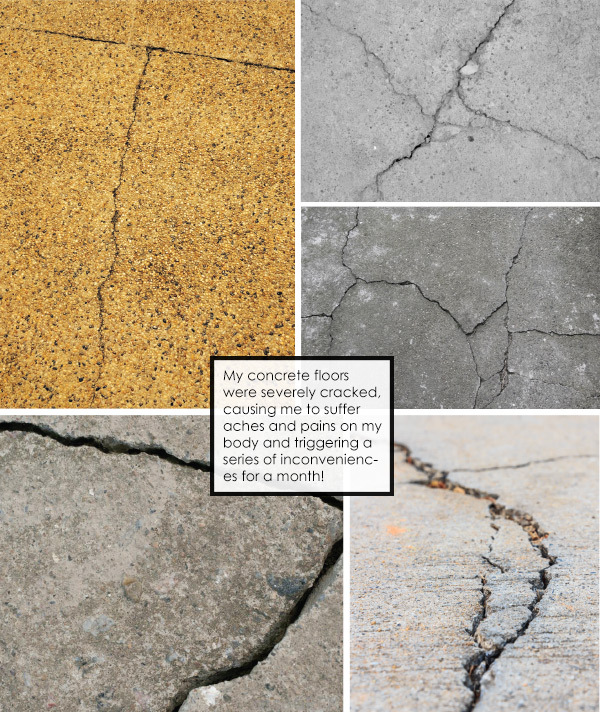 Last month was extremely busy for me as I realized to my horror that the flooring of my entrances, my garage and my patios had cracked in the hot sun. Malaysia has been experiencing extremely hot weather conditions; daily from the hour of the Horse onwards through noon till about 3pm each day, the roads and patios of houses have to endure the searing heat of the noon day sun. My entrance driveway actually cracked and the wash-pebble finishing popped up, causing me to literally panic! If there was a sign that the feng shui of my earth energy was cracking, this was it! I could not wait to get the entire flooring repaired, as it is extremely dangerous to the feng shui foundation of my home. This is where friends and my cars leave and enter my home each day, and I have known family businesses that have collapsed as a result of their entrance floors cracking and them not repairing them. When the top layer of wash-pebble flooring was drilled and swept away, I realized to my horror that the cracks went deeper, beyond being superficial cracks. Indeed, the cracks on the underlayer of concrete looked even worse. No wonder I had been ill the past month and feeling so out of sorts. I lost no time in strengthening the foundation with steel wire and fresh concrete, and took the opportunity to create a new floor with cement rendering finish, which by the way is all the rage with new house owners these days. Modern Architects love clean lines and the natural raw look, and many have been promoting the bare look of well-rendered cement finishing. Believe it or not, I recovered almost immediately and especially the aches and pains that made it impossible for me to even put on my socks and tie my shoelaces. I had been forced to stop my morning walks because I lacked the energy to take even a few steps, and I woke up in the mornings with searing pain in my lower back. All this while, I was teaching at my latest MPC program. It was quite a challenging time, but happily, as soon as my wonderful contractor and his skilled workers repaired my floors, I recovered in time to properly enjoy the graduation dinner. 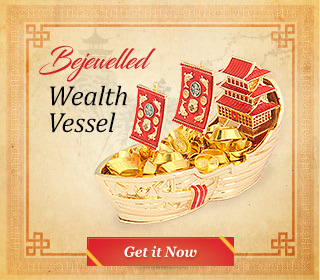 The experience was awesome in that it reinforced once again my faith in the wonderful practice of feng shui, but it also drove home the point – of how vital it is to be mindful that good feng shui must never be taken for granted. 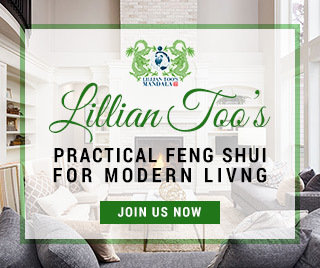 Indeed, feng shui is a dynamic practice requiring updating and maintaining, and it is not about introducing additional formulas into one’s feng shui practice; as long as you use common sense and never delay on needed repairs, your feng shui will stay beneficial for you. In my case, my problem was further compounded by the fact that the house that was diagonally across the road from my house was being demolished at exactly the same time, and it was at the direction of South, which houses this year’s TAI SUI. The wreckage of the house – and all the banging and digging that came with the demolition – sent shock waves to my home’s chi. I had to resort to using my magical flywhisk to dispel all the negative energy being sent my way by the Tai Sui, Lord of Jupiter from across the road! I also placed a powerful new HAYAGRIVA PRAYER WHEEL filled with 100 million mantras of this powerful protector in exact alignment with the South (Northwest for 2018) where Tai Sui resides this year! Thankfully, everything is back to normal. I have never felt better and my body flexibility has returned! So please folks, when things get out of sync in your life, it benefits to go searching for clues to investigate if something may be afflicting your feng shui, and attend to it as soon as you possibly can!